According to a press release from the University of North Georgia Press, No. 20 University of North Georgia women’s basketball team can call themselves Southeast Region Champions, for the first time in the NCAA era, as they beat Lander, 73-62, in the regional final at Anderson’s Abney Center. Lander took an early lead as the Nighthawks struggled to knock down shots in the opening minutes, but North Georgia stormed back, cutting the lead to three after the first period. North Georgia took the lead in the opening minutes of the second quarter as part of a 12-0 run, 17-16. From there, North Georgia never surrendered the lead, even though Lander tied the game twice in the second quarter. The Bearcats brought the game to within five with 1:30 left in the fourth quarter, but the Nighthawks finished the game on a 6-0 run to claim the regional trophy. 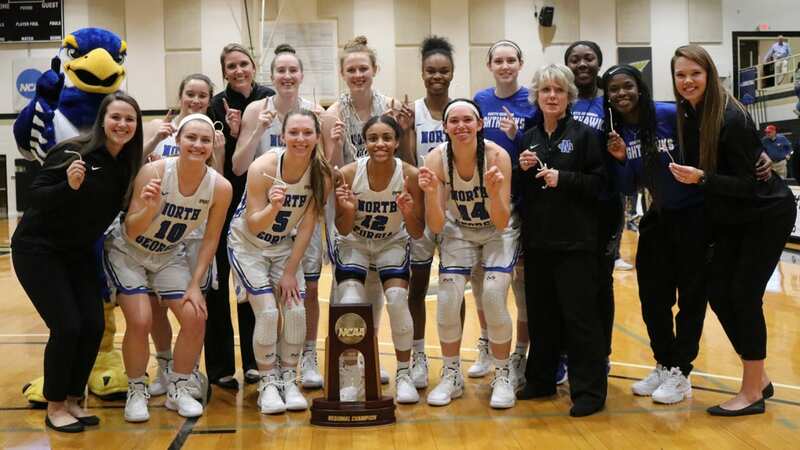 The women’s basketball program becomes the fifth program at UNG to make it to the NCAA Division II National Championship round, joining the baseball, cross country, softball and women’s tennis programs. The Nighthawks were 23-of-29 from the free throw line, while the Bearcats were just 7-for-11.